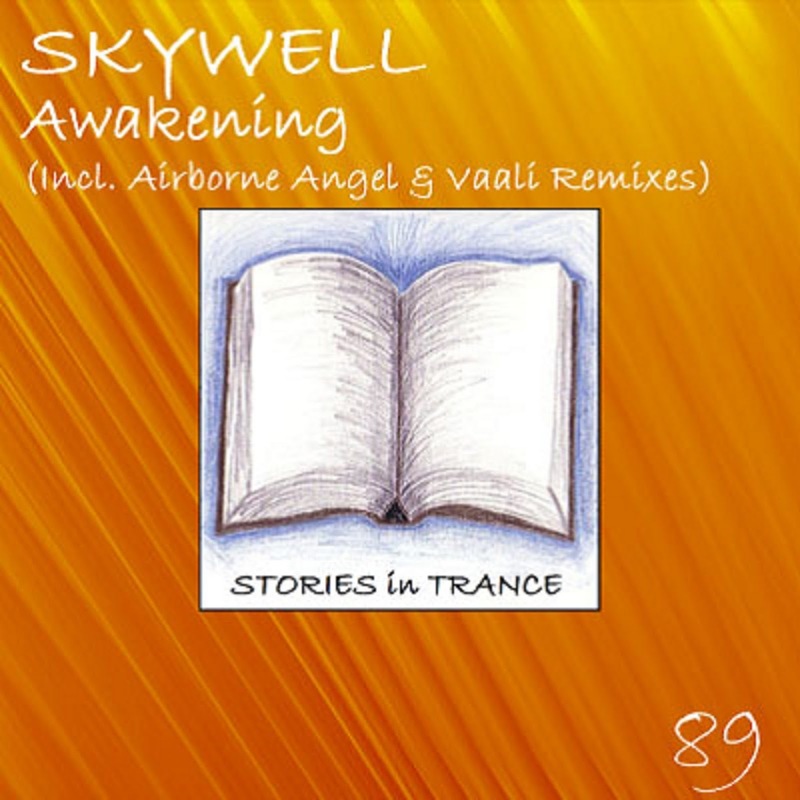 SIT 89 Skywell - Awakening. Released on Monday 30th December 2013. Skywell returns to Stories In Trance for our 89th release with the three track single Awakening. First things first, we start with the Original. Swedish producer Skywell (Jonas Skyldeberg) made his production debut with his brilliant track Gothenburg (SIT #84) and then turned his hand to a remix with awesome results: his sublime remix of Grey Cloud (SIT #85). Now back with his second original Awakening, Jonas expertly uses the fine lead melody amidst some stunning layering and effects, which come together brilliantly in this creative and well polished tune. We won't tell you what this track should remind you of or what feelings it should evoke, as the listener it's up to you to make this track personal however that may be, but there is no doubt that it is a superb piece of trance. 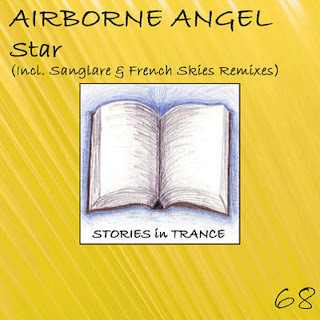 Two excellent remixes back up the Original mix and the first comes from none other than Airborne Angel. Gustaf Westin is back on remix duties for his friend and compatriot Jonas after his remix of Gothenburg (SIT #84). As usual his amazing production skills are on full show as he crafts a unique interpretation of the lead melody into a remix that stands up there with the very best. Bespoke. Beautiful. Pure Brilliance. We expect nothing less from Airborne Angel. A must have for everyone who loves trance. The final track on this release is the Vaali Remix. 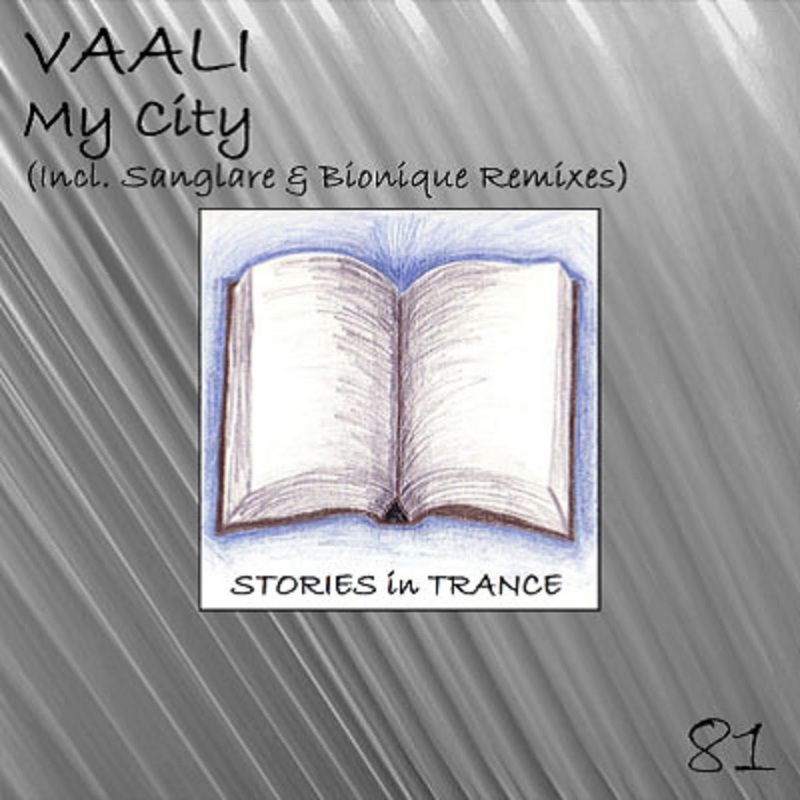 Russian producer Vaali (Arthur Valiev) made his production debut with his fabulous track My City (SIT #81) and after being inspired when hearing Jens Jakob's Euphorica he requested the opportunity to remix the track, the end result was the staggering remix that featured on Grey Cloud/Euphorica (SIT #85). Once again Vaali shows his undoubted talents with this immense remix; short, succinct yet well defined, using all the assets of the original infused with Vaali's trademark production quality all add up to a truly great interpretation. 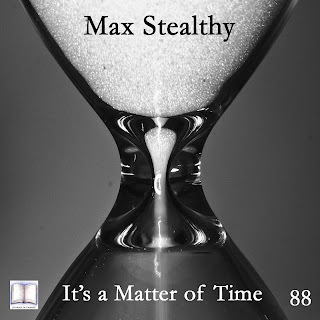 SIT 88 Max Stealthy - It's A Matter Of Time. Released on Monday 23rd December 2013. 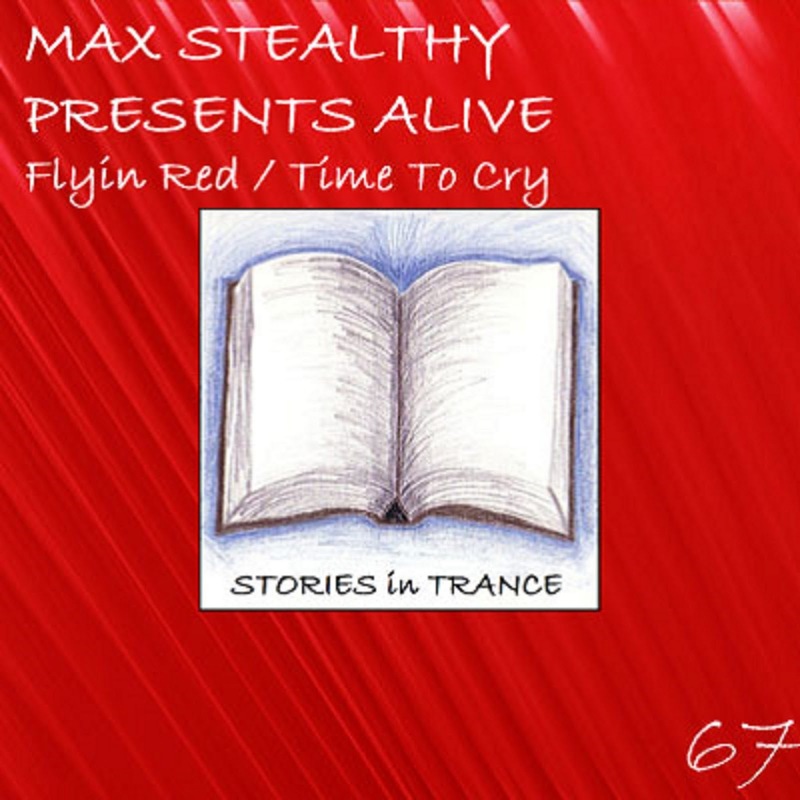 Stories In Trance are truly proud to give to you SIT 88 by Max Stealthy with his debut album 'It's A Matter Of Time'. After nearly four years, Stories In trance offer up our first artist album and it's from one of the most important and influential producers on our label- Poland's Max ‘Stealthy’ Szalko. 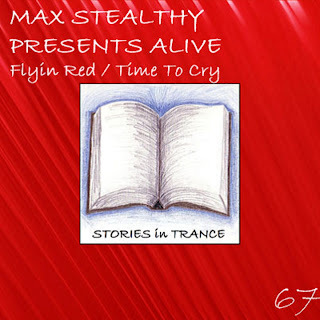 Max’s productions beautifully combine strong lead melodies with pace and power, but he has the ability to offer up a wide range of styles with trance, and this is perfectly demonstrated with the quality and diversity on this 10 track album. After making his debut on SIT in the autumn of 2011 with his sublime Charge EP (SIT #14) Max has produced many great originals and remixes and has played a definitive part in some of our most notable releases to date. Titled 'It's A Matter Of Time' this reflects over 3 years in the making and features a selection of his best tracks from his previous releases as well as some new productions written especially for this album. In our opinion this album is one of the most impressive we have seen for some time, and feel that quality comes from the fact that all the previously released tracks have been featured on some very strong releases and the new tracks have been created purposely to sit alongside the finest of his previous work. There is no album filler tracks on 'It's A Matter Of Time' and we think that makes it one of the very best EDM artist albums in many a year. 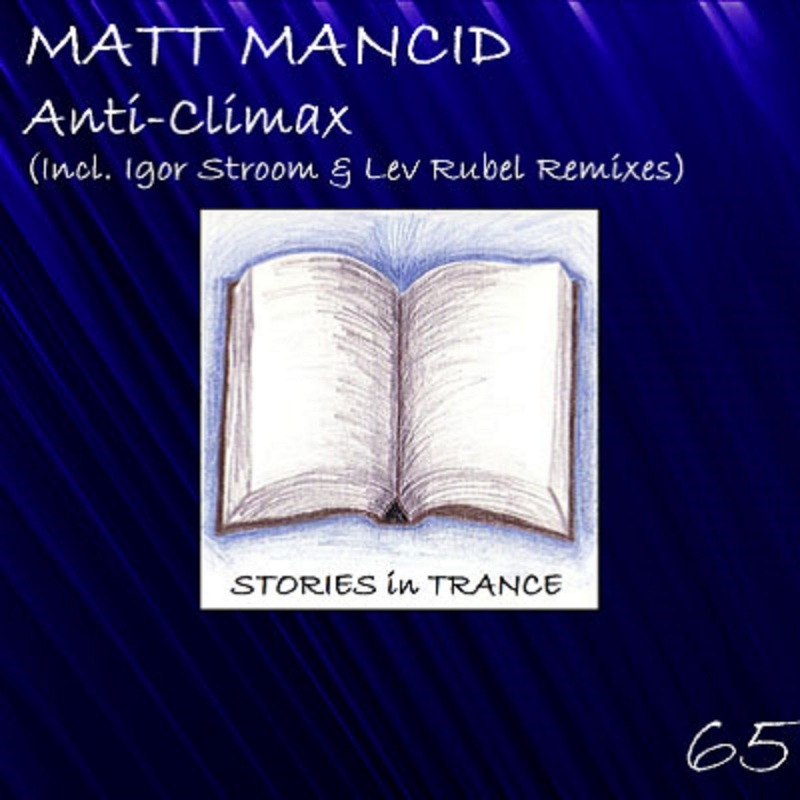 Max has and continues to be one of the most significant producers on Stories In Trance and it is truly a pleasure to put out this fantastic album that features ten pieces of trance excellence. Released on Monday 16th December 2013. Stories In Trance are pleased to offer up SIT 87 by Craig London with the three track single Drop Zone. As is now tradition, firstly we have the original mix. Craig's career to date has seen him make several impressive appearances with us with some fine remixes, most recently his fantastic version of Fly Away (SIT #86) which was preceded by his debut originals with the Double A-Sided Single Footprints and The Colour Of Gold. Once again Craig is on top form showcasing his vast talents, and this time he gives us a more energetic and powerful original. The excellent lead melody is backed up by driving mids and powerful bass- all the hallmarks of a big room stormer. Craig has had an excellent 2013 and in our opinion is one of the best new producers in the scene, so look out for plenty more from him coming soon. Up second we have Max Stealthy's version. 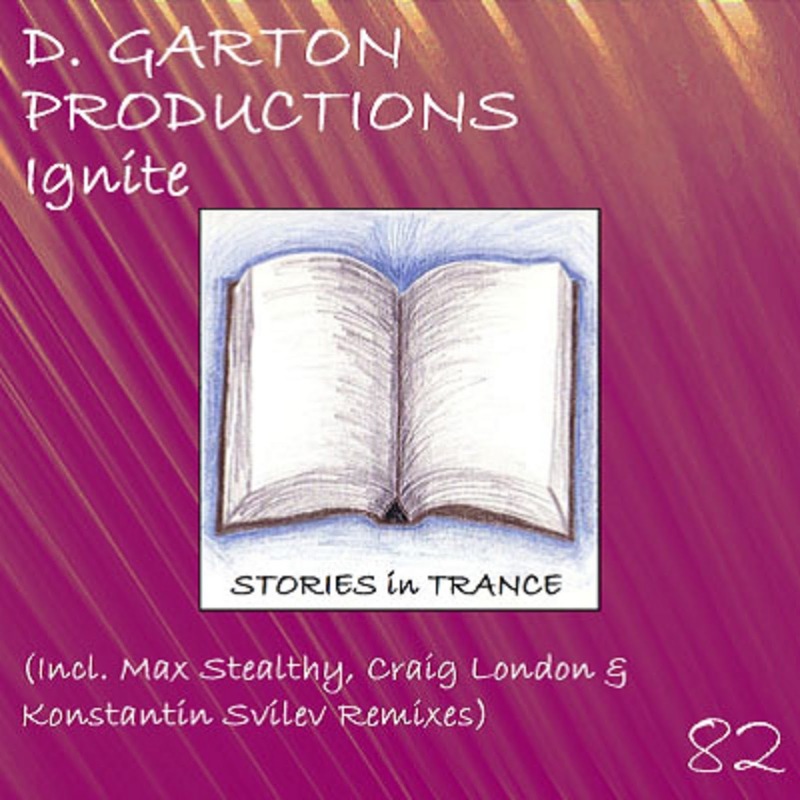 Max has been a key player on Stories In Trance for some years now, and has an extensive list of tracks and remixes with us, most recently his brilliant version of Ignite (SIT #82). Max has built himself a potent reputation with his consistent production prowess and once again he serves up a truly great track, expertly evolving the great lead melody, backed with fantastic effects, depth and driving mids. Max's production technique continues to go from strength to strength showing yet more innovation and imagination. A great remix to add to his fantastic discography. The third and final part of Drop Zone comes from Dutchman Locus (Walter Lootens). 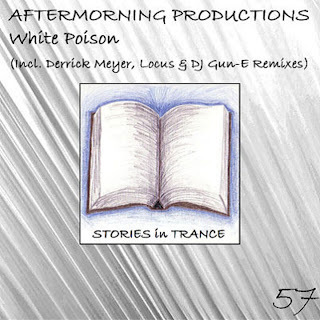 Locus made a fantastic debut on Stories In Trance with his remix of White Poison (SIT #57) and followed that with his earth shattering version of Heavenly Delight (SIT #73). After a little breather, he returns in emphatic fashion with another fine remix: a short, concise rethink that is packed with energy and power, expertly using the lead to great effect. Locus really is an exciting and promising young producer who we have no doubt will bring lots more creativity to trance in the future. Released on Monday 9th December 2013. 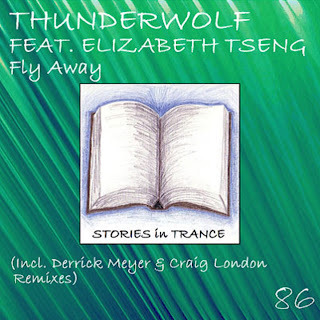 Stories In Trance proudly present SIT 86 by Thunderwolf Featuring Elizabeth Tseng with the three track single Fly Away. As usual, first up is the original. 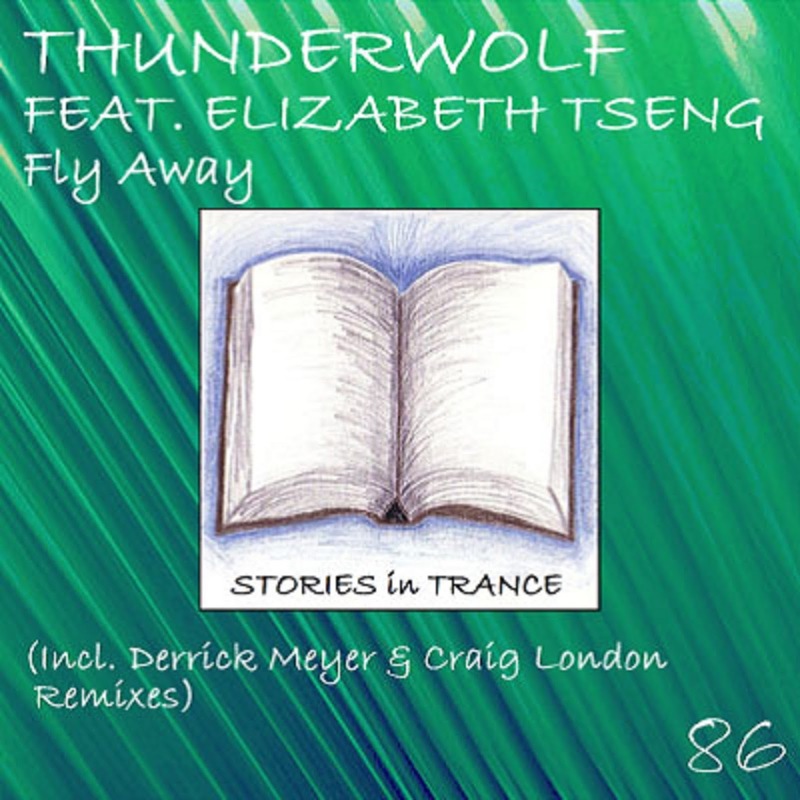 Stories In Trance is committed to showcasing the very best trance from all over the globe and this time it's the fourth outing for Taiwanese newcomer Thunderwolf (Tseng Chih Young) and his third track featuring the vocals of his sister Elizabeth Tseng. Fly Away is an energetic and uplifting track that expertly uses the superb vocals to add a fantastic dimension to the piece. Fabulously crafted, this is another fine production from this highly talented artist. The first of two remixes comes from Stories In Trance legend Derrick Meyer who brings his unique style to create this superb version. Being one of the USA's best uplifting trance producers, Derrick's back catalogue with us is vast and equally great with his last outing - his remix of Euphorica (SIT #78) - being a perfect illustration of his exceptional talent. This is Derrick’s first vocal project, but once again he delivers the goods with his usual production excellence. His unmistakable melodic dynamics and expertly polished layering (something ever present and always greatly impressive in Derrick's work) all amount to a brilliant and truly bespoke track. Up third is Craig London's remix. 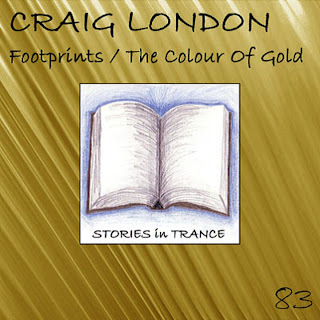 Craig's career to date has seen him make several impressive appearances with us with some fine remixes, more recently his fantastic version of Ignite (SIT #82) which was followed by his debut original on Stories In Trance, the Double A-Sided Single Footprints and The Colour Of Gold (SIT #83). Once again Craig is on top form showcasing his vast talents, taking all the best bits from the original and combining that with his now trademark style, this is a remix that really hits the sweet spot. Craig has had an excellent 2013 and in our opinion is one of the best new producers in the EDM scene, so look out for plenty more from him coming soon. Released on Monday 18th November 2013. 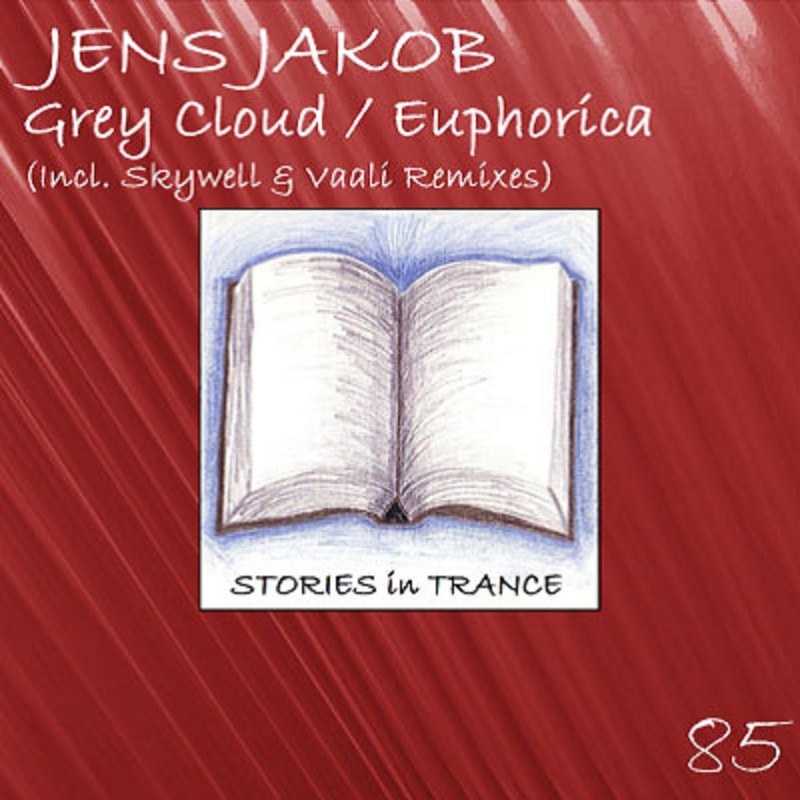 Stories In Trance proudly offer up SIT 85 by Jens Jakob with the three track single Grey Cloud / Euphorica. 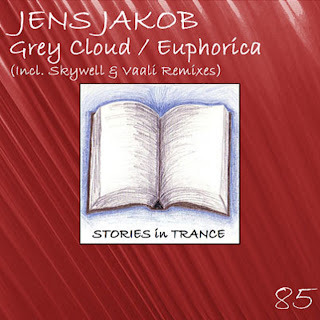 Jens made his debut on SIT with his fantastic track Euphorica (SIT #78) and is back at his best again with Grey Cloud. Much like Euphorica this track has a great lead melody and plenty of energy, power and emotion. This is a real piece of uplifting trance gold and a truly standout track. Up next we have the Skywell remix of Grey Cloud. Swedish producer Skywell made his production debut with his brilliant track Gothenburg (SIT #84) and turns his hand to a remix with awesome results. He expertly uses the lead melody with some stunning layering and effects which come together brilliantly in this creative and well polished remix. A superb track from a very talented new artist. The final track on this release is the Vaali Intro Remix of Jens's first offering on Stories In Trance- Euphorica. Russian producer Vaali (Arthur Valiev) made his production debut with his fabulous track My City (SIT #81) and after being inspired when hearing Euphorica he requested the opportunity to remix the track. The end product is a beautiful, wonderful piece of trance: an immense interpretation of the original with production technique second to none. The intro alone is astounding and it all adds up to one of the most imaginative tracks of the year. Released on Monday 4th November 2013. 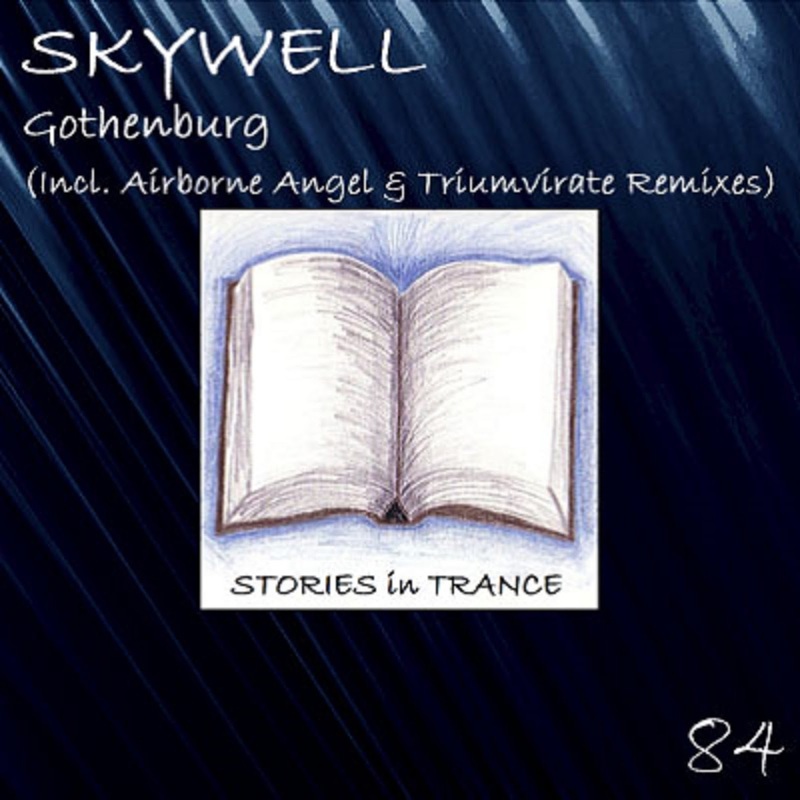 Stories In Trance are delighted to give to you SIT 84 by Skywell with the three track single Gothenburg. It's time for another debut from a very promising new producer, Swedish artist Skywell (AKA Jonas Skyldeberg). Jonas is friends with Stories In Trance hero and fellow Swede Airborne Angel (Gustaf Westin) who recommended him to join us at SIT. His first production named in honour of his home city Gothenburg is one for him to be proud of. Superb production techniques fitting of a far more experienced producer are in evidence from start to finish in this energetic and powerful big room trancer which is highlighted by the truly fantastic lead melody. Jonas has undoubted talent and this track is a really impressive piece of work, look out for plenty more from him on Stories In Trance very soon. Two excellent remixes back up the original mix and the first comes from none other than Airborne Angel. This time he is back on remix duties after his most recent of many originals with us, Star (SIT #68). It's hard to know how to describe yet another stunning track from Sweden's finest as he has gone all out for his friend’s debut release. As usual his amazing production skills are on full show as he crafts a unique interpretation of the lead melody into a remix that stands up there with the very best. A must have for everyone who loves trance. The final part of this fabulous release comes from SIT's own Triumvirate with their remix. This follows their most recent offering, the immense rethink of The Jewel That Was Ours (SIT #70) and once again they showcase all that is great about trance. After hours of playing around with the lead melody and the other parts of the remix pack they have come up with a truly bespoke remix made on equipment befitting a pop star. Plenty of creativity and years of trance listening experience aided by our priceless sound engineer and all around musical genius Dan Garton's expertise all add up to a piece of music we are mighty proud of. There are so many component parts of this track it's impossible to pick out the main ones, it's best just to say that the track is engaging from the first second to the last, ever evolving, surprising and encompassing all the best bits of trance; put that all together and you get something that must be heard by any and all trance enthusiasts. In summation Gothenburg is a package that can rival any trance release from the digital age that perfectly illustrates the vast, diverse and superbly defined sounds that SIT endeavour to promote. Released on Monday 28th October 2013. Stories In Trance proudly give you SIT 83 by Craig London with the double A-Side Footprints / The Colour Of Gold. 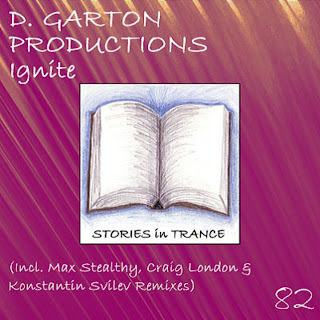 Craig's career to date has seen him make several impressive appearances with us with some fine remixes, most recently his fantastic version of Ignite (SIT #82). This time he gives us his first of what we hope are many originals on Stories In Trance with Footprints and The Colour Of Gold. Footprints is up first and Craig expertly shows all the class that is present in his remixes with some of his own pieces of production flair. A beautiful track with infectious mids and lead melody, accompanied with a delicate and warm feel make this a fabulously polished track. Up next is The Colour Of Gold and much the same as Footprints this again has all the imprints of production finery that we come to expect from Craig. Some stunning touches added to the attention grabbing vocal chops and superb layering add up to a really standout track. Here we have two tracks that can mix it with the very best trance out there, a must have release for the discerning trance fan and DJ's alike. Released on Monday 14th October 2013. 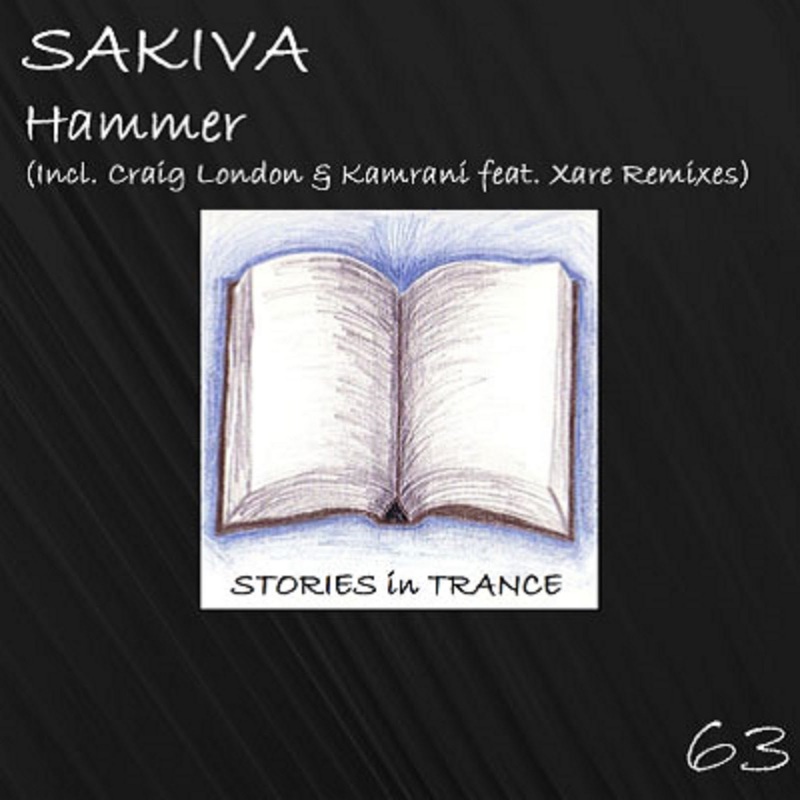 Stories In Trance gives you SIT #82 from one of our very own. This is D.Garton Productions with the four track single Ignite. Up first we have the Original, in the form of a debut solo production by Stories In Trance's sound engineer, the mastering and technical wizard Dan Garton. Dan is one third of the Triumvirate project and this time he shows us his own flair as well as the influences of his work as part of Triumvirate. A superbly well produced track, Ignite is a perfect example of Dan's comprehensively educated musical background. A truly warm glow exudes from this piece, with fantastic layering and a great lead melody all making up a beautifully well balanced and sublimely put together track. How trance should always be, Dan Garton is a pure musical talent. Up second we have Max Stealthy's version. Max has an extensive list of tracks and remixes with us, most recently his fine version of Thunderwolf's China Spring (SIT #79). Max has built up a potent reputation for himself with his consistent production prowess and once again he serves up a truly brilliant track, expertly evolving the great lead melody, backed with fantastic effects, depth and driving mids. Max's production technique continues to go from strength to strength showing yet more innovation and imagination. A great remix to add to his fantastic discography. 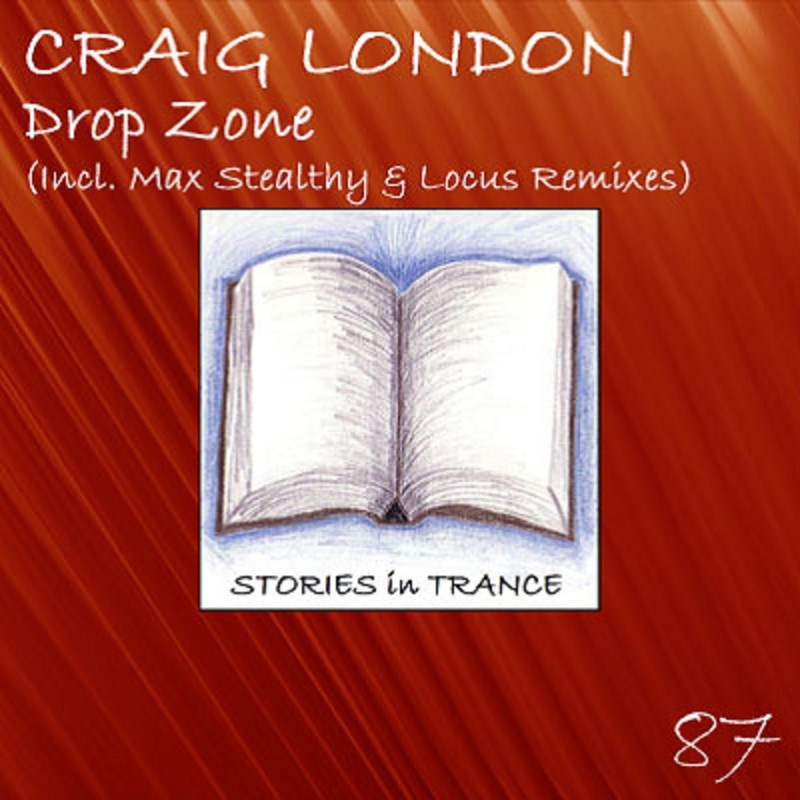 The next remix comes from Englishman and trance powerhouse Craig London. 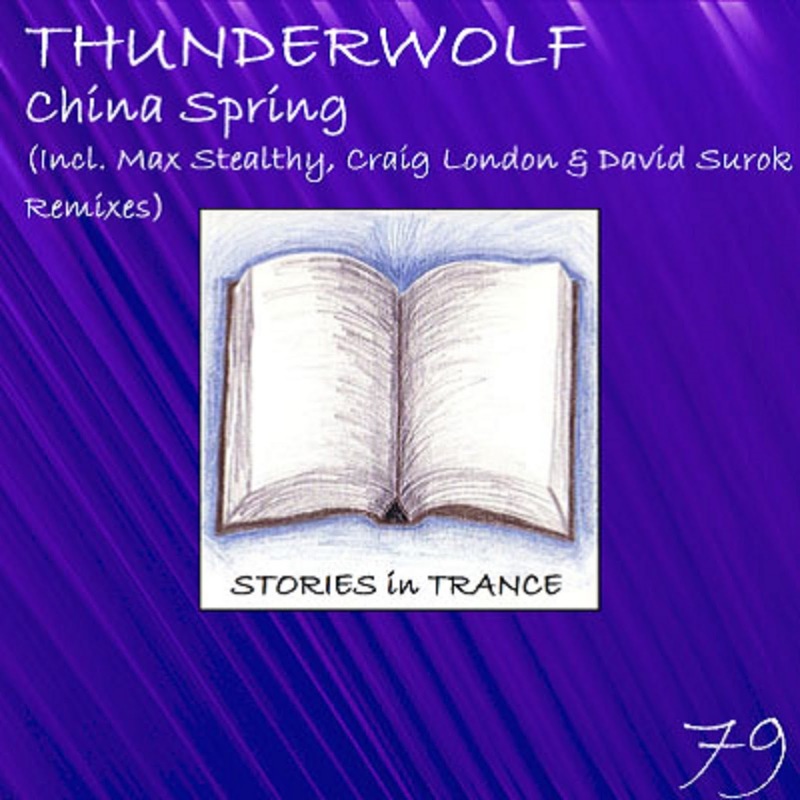 Craig's career to date has seen him make an immense arrival on Stories In Trance with his epic remix of Sakiva’s Hammer (SIT #63) and most recently his fantastic remix of Thunderwolf's China Spring (SIT #79). Expertly adapting the lead into an uplifting and energetic version of the original, this has all the qualities to be a major success. Craig perfectly shows his undoubted talents with this remix and why we should all keep an eye on this very promising producer in the future. Finishing up this generous package is Konstantin Svilev’s offering. Konstantin made his debut on Endeavour EP (SIT #51) with City and since then has played a big part on our label with several fine tracks and remixes most recently with his rethink of David Surok's Breeze (SIT #71). He is at his best again with this energetic and ever progressing original. The great lead is backed with fantastic atmosphere, excellent mids and subtle yet unmistakable percussion which all add up to a wonderful remix. Be sure to check out more of Konstantin's work with us in the future. That rounds off this awesome four track offering with input from the very best of our label's artists, all of which bring their unmistakable talents to this package and make it a release we are very proud of. Released on Monday 29th July 2013. 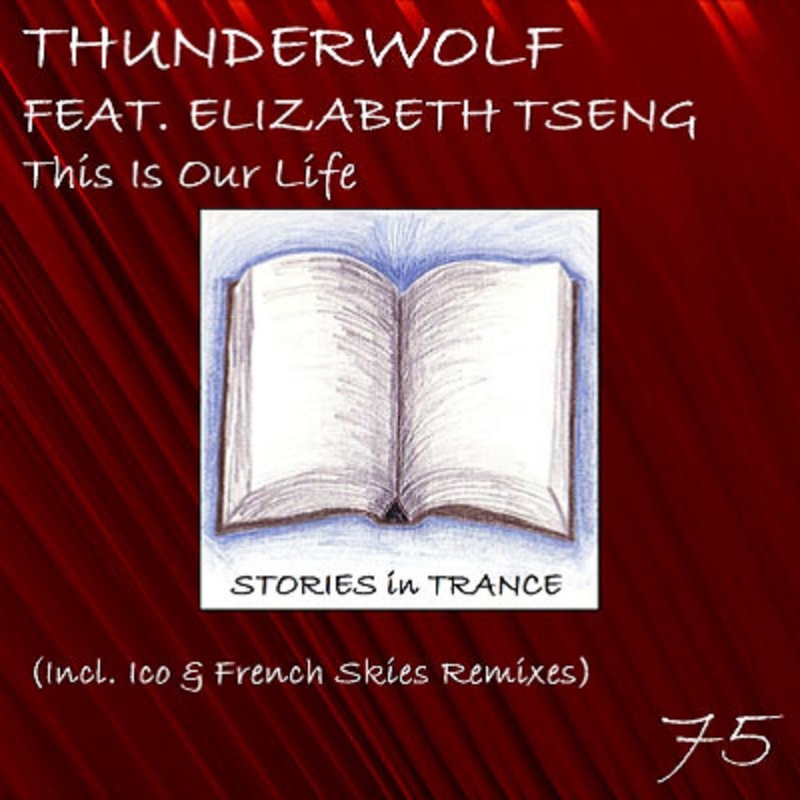 Stories In Trance is proud to present our 75th release; we give you Thunderwolf featuring Elizabeth Tseng with the four track single This Is Our Life. As usual, first we offer up the original. 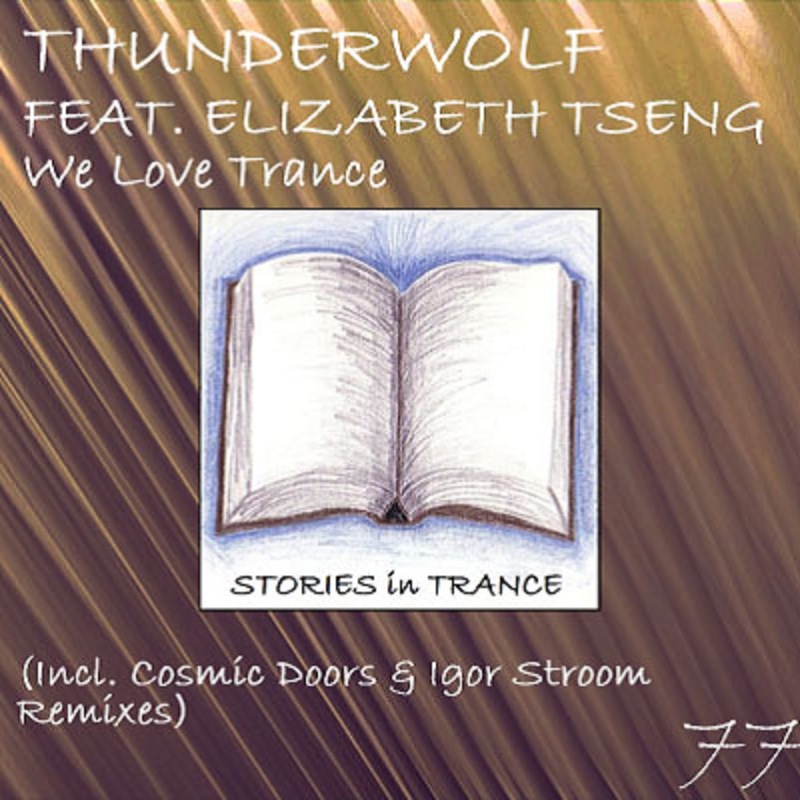 Stories In Trance is committed to showcasing the very best trance from all over the globe, and this time we unearth a gem in the shape of Taiwanese newcomer Thunderwolf (Tseng Chih Young). 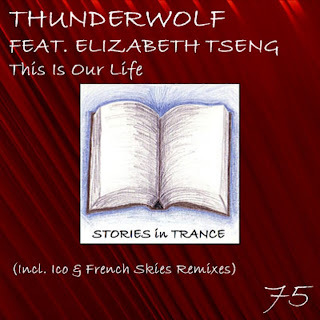 And it's a family affair, with his extremely talented sister Elizabeth Tseng on vocals: together they give us what is to be one of the best tracks of the year, the fantastic This Is Our Life. Excellent layering, a brilliant lead melody backed up with a warm feel and flavour all perfectly complimented by the beautifully stunning vocals, this track can stand up there with the very best vocal tracks from the last few years. This Is Our Life is an absolute must have for all trance fans and DJ's alike. Look out for plenty more from this very exciting producer on SIT in the coming weeks and months. The first remix comes from Sweden's Ico (John Eriksson). His excellent early productions brought him to our attention last year so we were delighted to get him on board with his first remix for Stories In Trance, the superlative reinterpretation of Triumvirate's The Persistence Of Memory (SIT #60) and he backed that up with his truly fantastic remix of spArk's Moments (SIT #66). Ico delivers an energetic, uplifting and emotional trancer with which he sublimely weaves the beautiful vocals into an all round uplifting powerhouse of a track. We feel Ico is certainly one of trance's best up and coming producers so keep a close eye on his future creations. The third and fourth adaptations come from Frenchman Jonathan Araldi under his now familiar French Skies alias. After his debut on Stories In Trance in the shape of The Wings Of A Dream (SIT #58) he then followed this with his first remix for us, delivering a fantastic reinterpretation of Triumvirate's epic The Persistence Of Memory (SIT#60), his two remixes of David Surok's Avalon (SIT #62) and most recently his remix of Airborne Angel's Star (SIT #68). Firstly we have his remix version, and this powerful track cuts straight to the chase. Featuring the subtly tweaked lead melody whilst expertly weaving additional aspects from the original including the amazing vocals into the mix, Jonathan creates a pure, energetic interpretation. Then we have his Progressive remix, taking this version down a different route focusing more on the vocal and melodic elements of the track. Two standout remixes that are a must have addition to any uplifting/progressive set or mix. This is a perfect illustration of what to expect from French Skies and why we are delighted to continue showcasing him on Stories In Trance. Released on Monday 22nd July 2013. 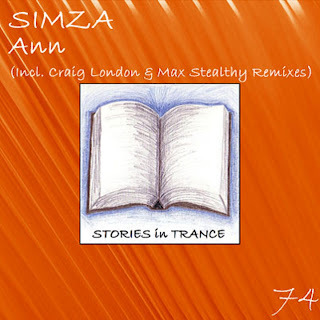 Welcome to the 74th release on Stories In Trance, and this time out we give you Simza with the three track single Ann. Ukrainian newcomer Simza (Leonid Prodanov) is just starting out in his production career and with Ann he makes a fine entrance onto the scene. A superb and engaging track from the very start with an infectious lead that is backed with defined yet subtle mids creating a deliciously rich feel, this is a standout piece of proglifting trance. A sure fire hit with any DJ or trance fan alike. The first remix comes from Englishman Craig London. 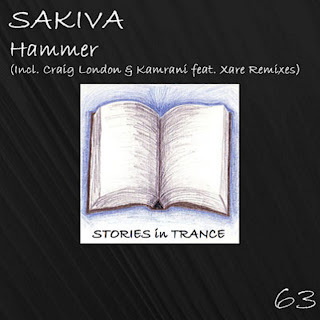 Craig's career to date has seen him make an immense arrival on the scene in the shape of his original The Traveler on Where Music Lives Digital which brought him to our attention, so we were delighted when we got him on board with us with his epic remix of Hammer (SIT #63). Expertly adapting the lead into an uplifting and energetic version of the original, this has all the qualities to be a major success. Craig perfectly shows his undoubted talents with this remix and why we should all keep an eye on this very promising producer in the future. Up second we have Max Stealthy's version. 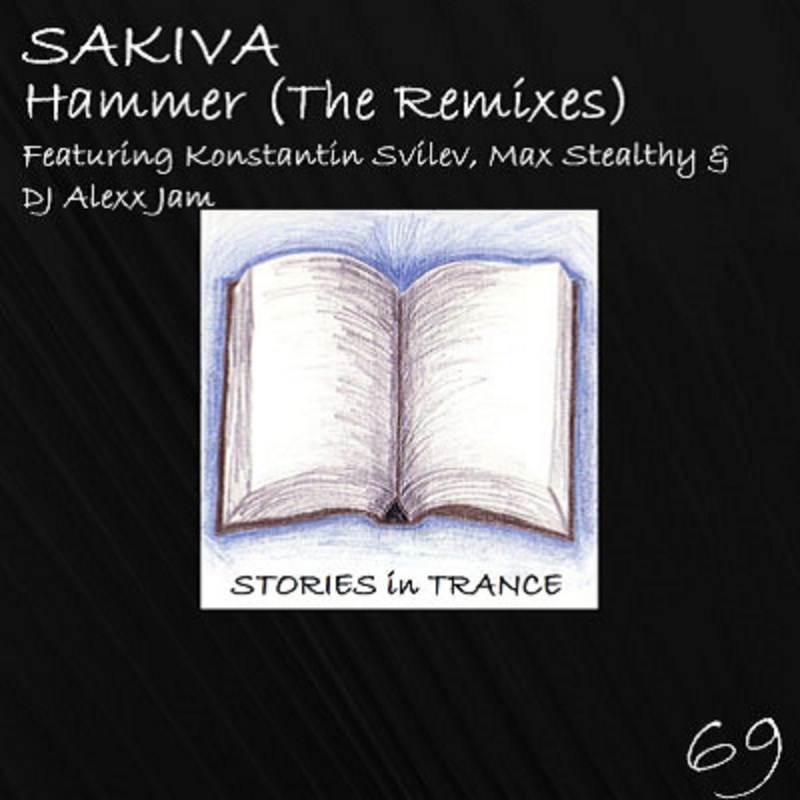 Max has an extensive list of tracks and remixes with us, most recently his stunning remix of Sakiva's Hammer (The Remixes) (SIT #69) and his double A-Sided single Flyin Red / Time To Cry (SIT #67). Once again he serves up a truly brilliant track but this time in a beautifully concentrated little package, expertly crafted with a great lead melody backed with fantastic effects, depth and mids. Max's production technique continues to go from strength to strength showing yet more innovation and imagination with this 'Mini' remix. What this lacks in length it makes up for in pure excellence; a great remix to add to his fantastic discography. Released on Monday 15th July. Stories In Trance present SIT 72 by BIONIQUE Featuring SOLARNIGHT with the four track single Heavenly Delight. 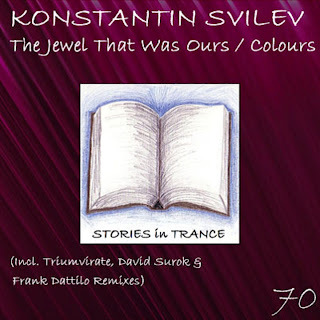 The Original comes in the shape of another debut on Stories In Trance with the collaboration of BIONIQUE (Aleksandr Voloshin) and SOLARNIGHT (Ilya Smirnov) who give us Heavenly Delight. This is a fine original track for these two promising producers to start their careers with, an excellent lead melody is backed with accomplished layering and an overall warm sound gives this track a superb feel. A great piece of energetic and uplifting trance which would stand out in any set or mix. The first remix comes from Stories In Trance legend Derrick Meyer who brings his distinct style to craft this superb version. Being one of the USA's best uplifting trance producers, Derrick's back catalogue with us is vast and equally great. This latest remix is on the back of his most recent original Nostalgia (SIT #72) which followed his last remix of Aftermorning Productions' White Poison (SIT #57). Once again he delivers the goods adding his usual production excellence to the unmistakable melodic dynamics and expertly polished layering which all amount to a brilliant track. Next up we have the Locus Dark Remix. Dutchman Locus (Walter Lootens) made a fantastic debut on Stories In Trance with his remix of White Poison (SIT #57) and backs it up with an equally impressive remix of Heavenly Delight. Power, pace, energy, emotion this is everything that trance should always be, this fabulous remix can be best described in one word: epic. This is a must have piece of work. Look out for more from this talented producer. The next mix comes from upcoming Italian producer Frank Dattilo. Frank made his debut on Stories In Trance with his delightful remix of Konstantin Svilev's Colours (SIT #70) and backed that up with his powerful remix of David Surok's Tornado (SIT #71). After such a promising start to his production career, If he continues along these lines he will go a long way in the scene. Offered up here is his truly captivating take on the original, always involving and engaging with a beautiful feel and flavour. Dedicated to someone Frank sadly lost recently, this is a production to be proud of. Look out for lots more to come from this rising newcomer. Released on Monday 8th July 2013. For our 72nd release Stories In Trance give you Derrick Meyer with the three track single Nostalgia. Stories In Trance legend Derrick Meyer brings his defined style back to the fore with his original version. Being one of the USA's best uplifting trance producers, Derrick's back catalogue with us is vast and equally great. This is his first original offering since the seminal Utopia EP (SIT #42) back in October 2012 though his most recent outings include remixes of Airborne Angel's Apollo (Relaunched) (SIT#50) and After Morning Productions' White Poison (SIT #57). Once again he delivers the goods adding his usual production excellence to the unmistakable melodic dynamics and expertly polished layering which all amount to a brilliant track. The first remix is from Matt Mancid. 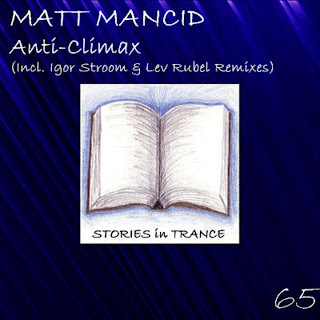 Hailing from Germany, Matt is on remix duty for the second time following his debut for us with an impressive remix of David Surok's Avalon (SIT #62) and sandwiched between that and this was his first original on Stories In Trance, the superbly emotive Anti-Climax (SIT #65). Matt's production career to date has seen him make appearances on labels such as Technotrance-essentials.com, German Engineering, Euro-Dancer.com, Niiemo and Trance Allstars. This is a perfect representation of his talents; a beautiful, warm and fantastically well produced piece of trance and certainly a standout track. Look out for plenty more great tracks and remixes from Matt in the coming months. 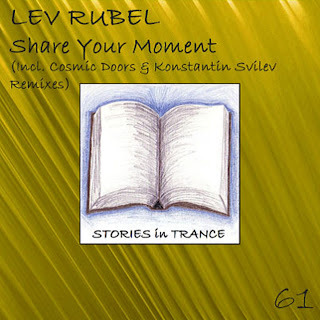 The second remix comes from Ukraine's Lev Rubel. Lev made his production debut for Stories In Trance with Insomnia as featured on the Tibbs EP (SIT #44) in October 2012. Since then he has lit up the Stories In Trance catalogue with originals Fairyland (SIT #53) and Share Your Moment (SIT #61), and in addition gave us fantastic remixes of Ethereal (SIT #49), Bridgestone (SIT #52), Exit (SIT #56) and Anti-Climax (SIT #65). He continues to showcase his undoubted talent with another great remix; a delightful flow and feel infused with his excellent production expertise making this a track to relish. Lev is a producer who continues to be widely influential on Stories In Trance. 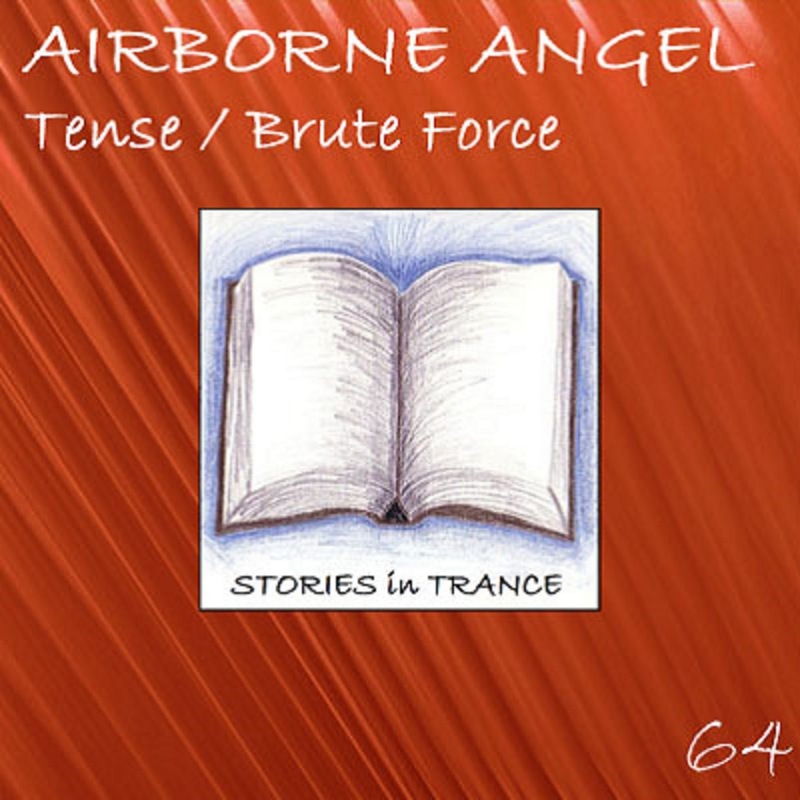 Stories In Trance present our 68th release and the ninth original from SIT hero Airborne Angel with the three track single Star. Released on Monday 10th June 2013. 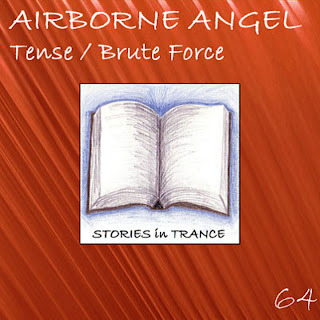 Airborne Angel (Sweden's finest, Gustaf Westin) has played a huge part in the development of Stories In Trance including a selection of massive originals and remixes, most recently with his Tense / Brute Force double A side (SIT #64) and he is back on his customary top form with this stunning track Star. It's hard to describe just how good Airborne Angel's productions are; amazing composition as always comprising of a fantastic lead melody and sublime structure, it's another track to savour. A must have track for 2013. 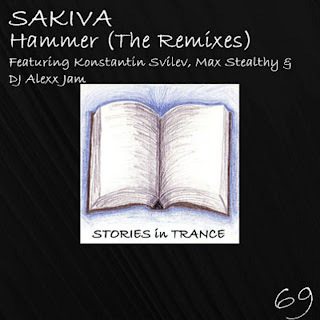 The first remix comes from Minsk's best, Sanglare (Vadim Zvegintsev and Aleksander Okholov). Sanglare made their Stories In Trance debut with Faith In The Future (SIT #43) in the Autumn of 2012 and backed that up with their first remix on SIT with Lev Rubel's Fairyland (SIT #53). They are back again with this energetic re-think on Gustaf's original. A harder, darker take, combining energy and power with the unmistakable lead leaves us with a banging addition to this epic release. The second remix comes from Frenchman Jonathan Araldi under his French Skies alias. 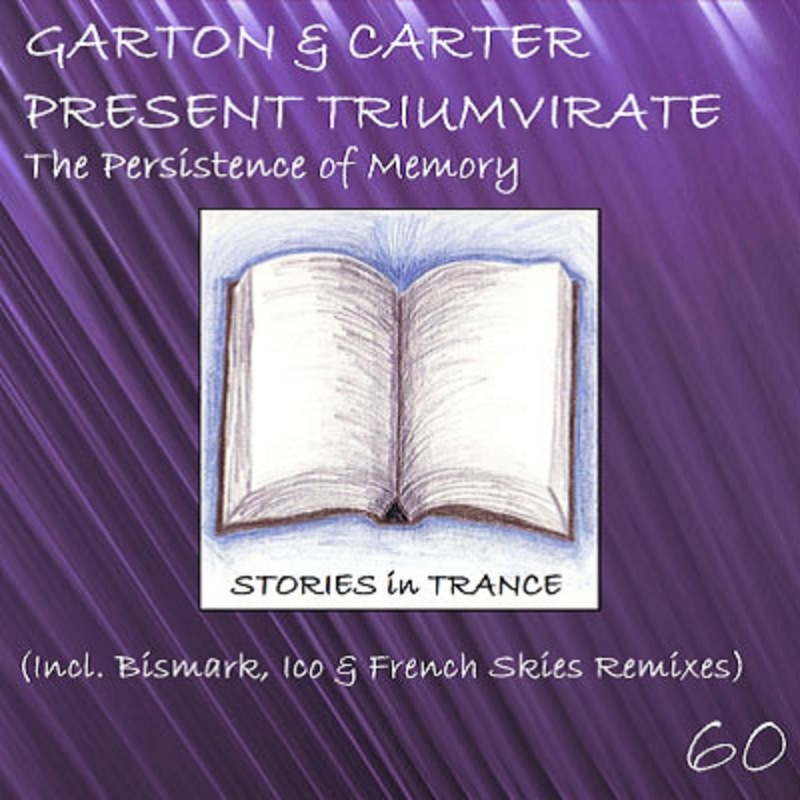 After his debut on Stories In Trance in the shape of The Wings Of A Dream (SIT #58) he then followed this with his first remix for us, delivering a fantastic reinterpretation of Triumvirate's epic The Persistence Of Memory (SIT#60) and his two remixes of David Surok's Avalon (SIT #62). This powerful track cuts straight to the chase. Featuring the subtly tweaked lead melody whilst expertly weaving additional aspects from the original into the mix, Jonathan creates a pure, energetic interpretation. This is a perfect illustration of what to expect from French Skies and why we are delighted to continue showcasing him on Stories In Trance. Released on Monday 1st April 2013. Stories In Trance is extremely proud to present release number 60 - Garton & Carter Present Triumvirate with The Persistence Of Memory. The four track single includes the original 1931 mix, Bismark, Ico and French Skies remixes. First up is the 1931 Mix. 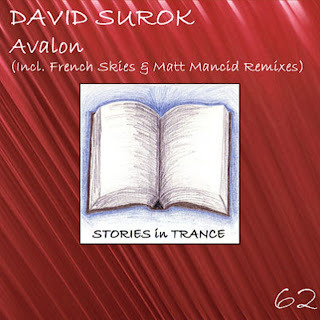 After many years of buying, listening and releasing trance through our label and following our production debut with the rework of David Surok's Sunset (SIT #47), the collective talents of us at Stories In Trance decided to create this bespoke track working under the moniker of Triumvirate. Inspired by the older structure and style of trance, which was the reason we were drawn to trance music in the late 90's early 2000's, we offer up something reminiscent of the good old days. Using state of the art studio equipment we have produced an old school power trancer. The beautifully crafted intro leads into the deep rich bass line and the constantly evolving and changing lead melody backed with sublime layering and a mesmeric break culminates powerfully into something special. This is one for fans of everything that trance once was to savour. The first remix comes from Italian legend Bismark. Marco Bisegna was a key part in defining the legacy that was the massive Italian label BXR, along with Mauro Picotto, Gianfranco Bortolotti, Mario Piu and several others. The BXR philosophy is one that we are indebted to, as we emulate its eclectic range of productions and believe in strength through diverse releases. So it is an honour to have Bismark on Stories In Trance. He made his debut for us with his remix of Rominica (SIT #15) and backed that up alongside his sound engineering wizard Andrea Tamashi, and Marco Angelici to give us Markus with Smoke Of Glory (SIT #55). This time Bismark delivers something more associated with his BXR days, with production once again second to none, he uses one of the many layers of the original to perfection; a powerful and aggressive bass backed with truly outstanding mids and fantastic layering, this is in a word 'AWESOME'. The second remix comes from Sweden's Ico (John Eriksson) with his Memorizing remix. With tracks and remixes so far on labels such as Diverted, D Max and Nile Tunes, his excellent work brought him to our attention last year so we are delighted to get him on board with this remix. Ico delivers an energetic, uplifting and emotional trancer. We feel Ico is certainly one of trance's best up and coming producers so keep a close eye on his future creations. The final part of this four piece puzzle comes from French Skies. He has been honing his production and remixing skills on labels such as Crystal Source, TFB, Club Nation, Pulsar, Tellurium, Mycore, Linger, Amplified Digital, Restate and 1103 Music and is fast becoming one of trance's most promising producers. 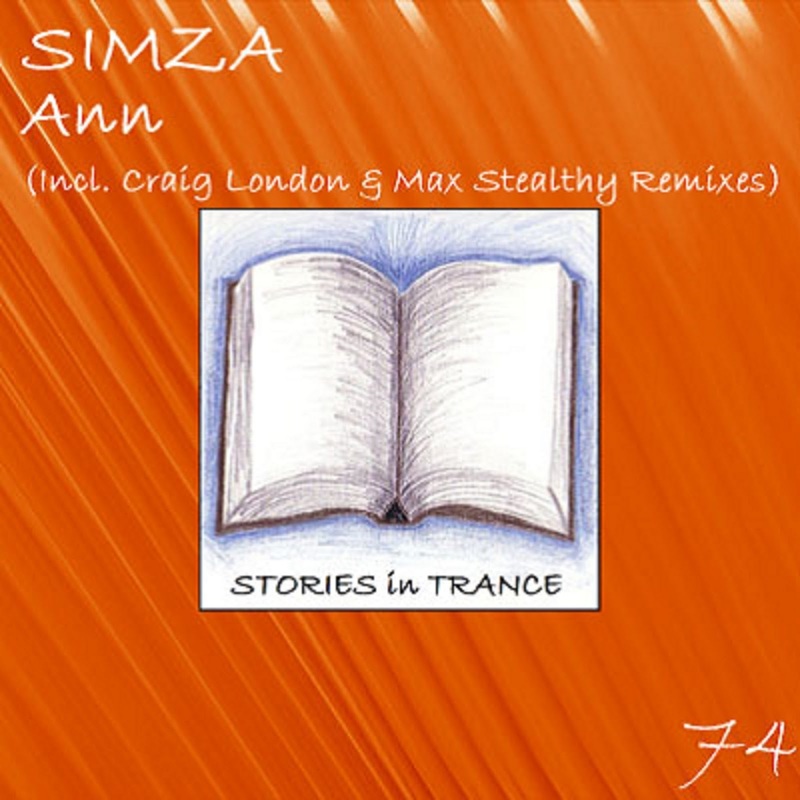 After his debut on Stories In Trance in the shape of The Wings Of A Dream (SIT #58) he turns his hand to a remix for us and again delivers with what is fast becoming his signature style. Comprising of a great lead melody whilst subtly and expertly weaving aspects from the original into the mix, backed with stunning atmospheric touches, this is a perfect illustration of what to expect from French Skies and why we are delighted to continue showcasing him on Stories In Trance. All in all we couldn't be happier with this release, with an overall quality far too seldom seen these days. Stories In Trance present our 59th release in the form of Lost In You EP by Egyptian producer spArk (Kareem Sharara). This excellent four track EP includes Lost In You, Revolution, Falcon & Chaos. 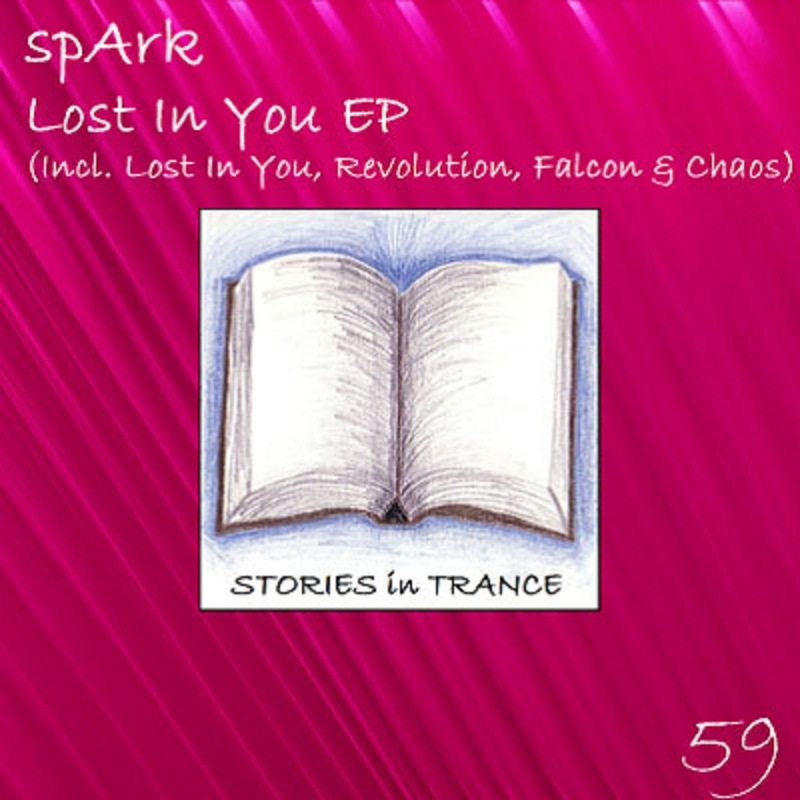 spArk has become a major contributor to Stories In Trance and made a fine debut with his original track Clouds Come (SIT #17). Proving that was no fluke he followed with his euphoric retake on Max Stealthy's Arrinera (SIT #25), setting the standard high for his second original My Freedom (SIT #37) which exceeded expectation. His most recent appearance was a superb remix of White Motion's Come Inside (SIT #54). This time he showcases four originals that perfectly represent all his qualities and talent. First we have Lost In You. This is spArk as we know and love, energy and emotion at its finest. Pure uplifting trance brilliance and the deserving title track of this fantastic EP. In second we have Revolution, again the usual uplifting excellence with an added twist in the shape of a live guitar recording from spArk. Proving his diverse musical vision and skills to match this is a stormer to savour. The third track Falcon shows how versatile spArk is. A more progressive piece of trance with a great lead, beautiful feel and fantastic production all adding up to this sumptuous offering. The final track is Chaos, a similar overall flavour as Falcon and a fine end to this awesome EP. This is a very dynamic and diverse four track selection with something for everyone to enjoy. Stories In Trance aims to uncover the most talented and imaginative new producers and team up with some of the more established names in the scene to work together in evolving the sound. This release sticks firmly to our philosophy of showcasing a diverse range of sounds within trance and we hope you'll enjoy the variety of imagination and creativity on offer in this EP. Released world wide on Monday 25th March 2013. Released world wide on Monday 18th March 2013. 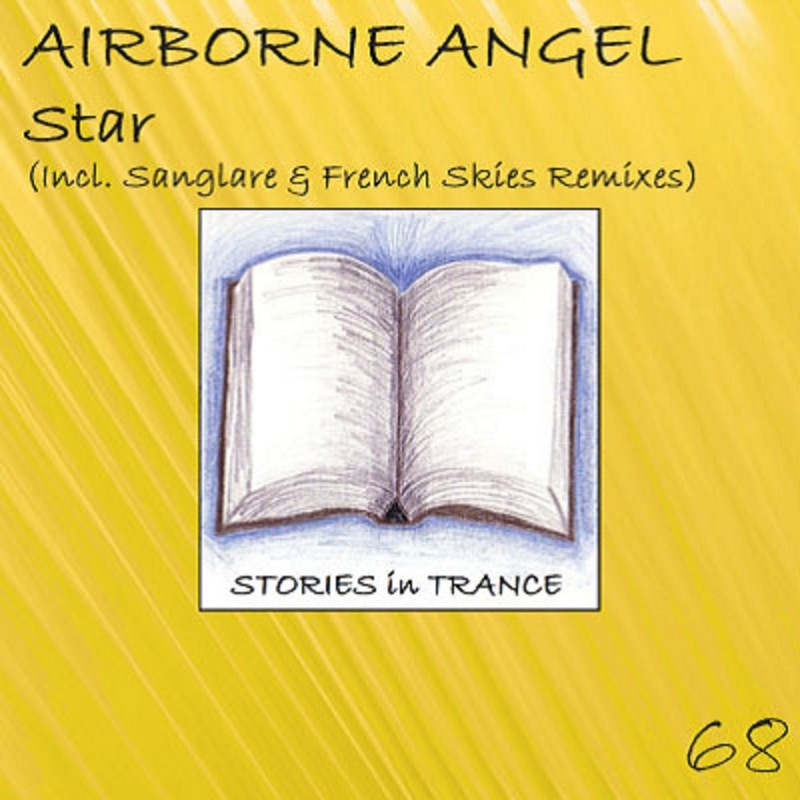 Stories In Trance present our 58th release and it's a debut for French producer French Skies aka Jonathan Araldi with the three track single The Wings Of A Dream. French Skies has been honing his production and remixing skills on labels such as Crystal Source, TFB, Club Nation, Pulsar, Tellurium, Mycore, Linger, Amplified Digital, Restate and 1103 Music and is fast becoming one of trance's most promising producers. We are proud to showcase this very exciting talent on Stories In Trance in the shape of The Wings Of A Dream; an energetic, uplifting and emotional piece of trance. Comprising of a great lead melody backed with stunning atmospheric touches, this is a perfect illustration of what to expect from French Skies. This is one to savour and there is lots more to come from him on Stories In Trance so watch this space. The first remix comes from a duo who are no strangers to Stories In Trance, but under a new alias - Cosmic Doors - who you might know better as BB Sound/Alexander One & Davide Battista. Italians Alexander One (Petrone Carmelo) and Davide Battista (Gabriele Stefanini) have made several outstanding appearances for Stories In Trance, including brilliant reinterpretations of Max Stealthy's Arrinera (SIT #25), White Motion's Solis (SIT #28) and most recently Yaven's Zeal (SIT #38) as well as their first original for us under their BB Sound alias with the seminal 'Oblique' (SIT #33). Once again their work does not disappoint as their 'Reboot' is a truly fantastic rethink combining all the beauty of the original with their own trademark touches and production style. A sure fire hit. The third part of this single comes from Hungarian David Surok. David's first release Sunset / Sunrise (SIT #47) was followed by his excellent remix of Alex Blest & Stonewave's Ethereal (SIT #49) and then Never Let Me Go on Endeavour EP (SIT #51). David again shows his undoubted talent with this great remix, adding his usual flavour to the lead. It's hard to know which of these three tracks is best so we'll let you decide - a stunning all around uplifting release. Released on Monday 11th March 2013. 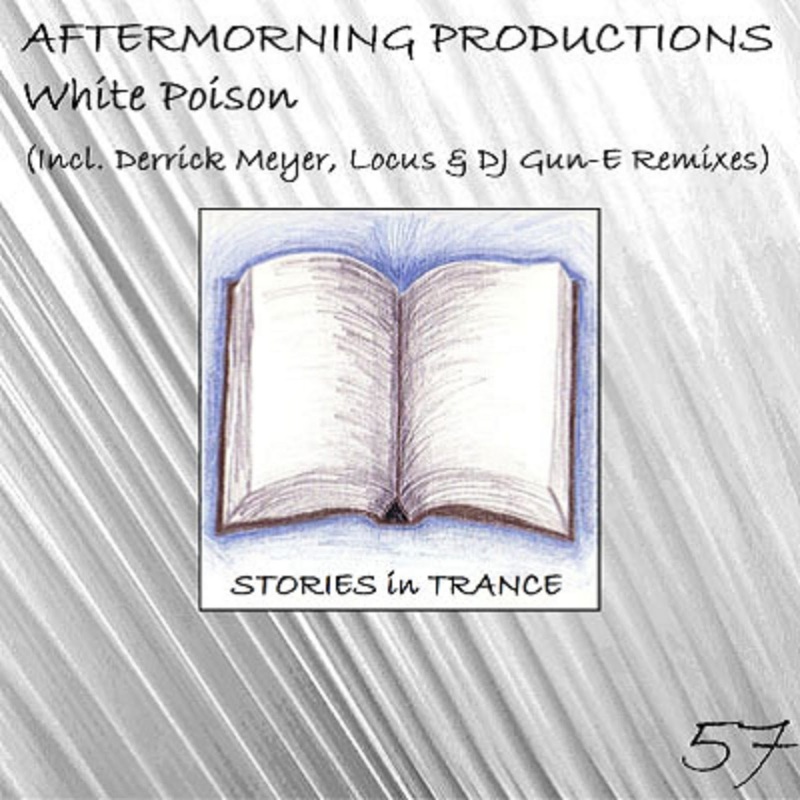 Stories In Trance is delighted to present our 57th release and it's a debut from India's finest Aftermorning Productions with this four track single White Poison. To kick things off is the Original. Aftermorning are an Indian trance music group formed in 2010 by Abhishek Yesugade, Anup Prabhakar and Prashant Gupta (Dj Mer'c ).They have experience of producing trance, house, chill out and various other forms of electronic music which from 2010 has mainly been associated with Neored Records. White Poison is a truly stunning piece of uplifting trance with sublime production and a mesmeric lead melody culminating in what is surely one of the most exciting tracks of the coming year. Their varying music experience gives them a distinctive and unique style which if White Poison is anything to go by will hold them in fine stead for a long and successful production career. Make sure to watch this space for more from Aftermorning Productions. Next up we have Stories In Trance legend Derrick Meyer bringing his defined style to the mix. Being one of the USA's best uplifting trance producers, Derrick's back catalogue with us is vast and equally great with his last outing being his remix of Apollo (Relaunched) (SIT#50). Once again he delivers the goods adding his usual production excellence to the unmistakable lead melody and expertly polished layering which all amount to a brilliant remix. Third to the table comes in the shape of the Locus 'Enchanted' Mix. This is another debut on Stories In Trance and again if this anything to go by it most certainly won't be the last we hear from Locus, using the fantastic lead to great effect this is a fabulous addition to the package. In fourth we have the DJ Gun - E Remix. A fellow countryman of Aftermorning Productions, Gagan Gandhi comes to us with DJ, production and sound engineer experience from Jaipur. His abilities in producing trance, house, chillout and ambient is evident in this special rethink, using the instantly recognizable lead melody to great effect in this more progressive version of the original. Innovation and imagination is evident in this remix, all qualities which should serve Gagan well as he develops his career in fine style. This is without a doubt a four track single to savour and enjoy to the fullest.